Margaret Pillay was born on 17th January 1972. She has two children. Margaret undertook her primary and secondary education at Mont Fleuri School. Upon completion of two years of national youth Service, she joined the School of Humanities and Science at the Seychelles polytechnic where she completed her A’ levels. She holds a Diploma in Education-Secondary from the School of Education (1996), a Bachelor of Arts in English from the University of Edith Cowan (1999) as well as a post graduate diploma in education from the University of Waikato (2004). She also holds a Master’s Degree in Education from the University of Waikato (2005). Mrs Pillay joined the public service as an internal audit assistant for the Ministry of Finance in February 1992. This was followed by a year’s experience as a research assistant at the Central Bank in 1993 after which Margaret left the world of work and joined the School of education to be trained as a secondary teacher. Upon completion of her teacher education in 1999, she joined the education field in the year 2000. Since then, she has taken on different positions with the education field both public and private. These included work as an English teacher, Head of English Department, teacher trainer at NIE, Director of Adult Learning and Distance Education; Leadership Development Manager at the SIM (ex. 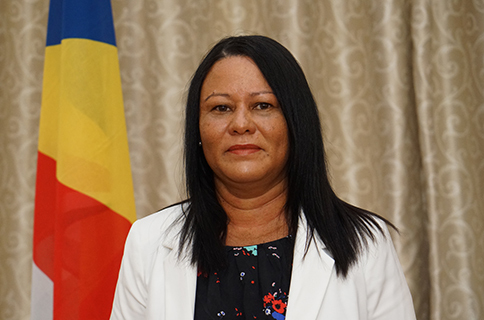 GMI); CEO of the Agency for National Human Resource Development; more recently Margaret was the Principal of International School Seychelles. Mrs Pillay has had wide experience in adult education working as part time lecturer at ALDEC, SIM and UniSey. She has also been involved in tutoring students on distant education programmes with UNISA. Margaret has been involved in curriculum development and has published articles on education topics within the context of Seychelles. Apart from her involvement in education, Margaret has played a key role in setting up writers association, running writing workshops and getting published as a writer for children and poet.